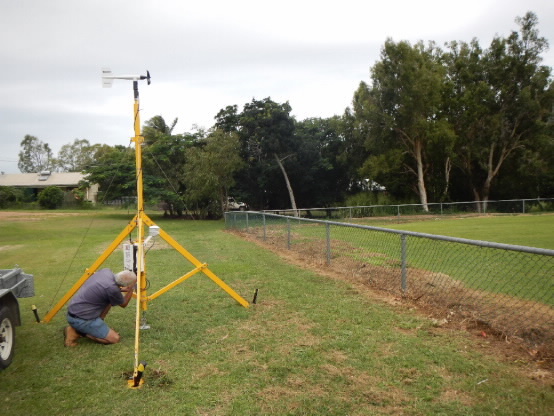 James Cook University researchers have finished setting up measuring equipment in Far North Queensland as Tropical Cyclone Ita heads toward the coast. The last of the six anemometers, which measure wind speed and pressure, was installed this morning (April 11). 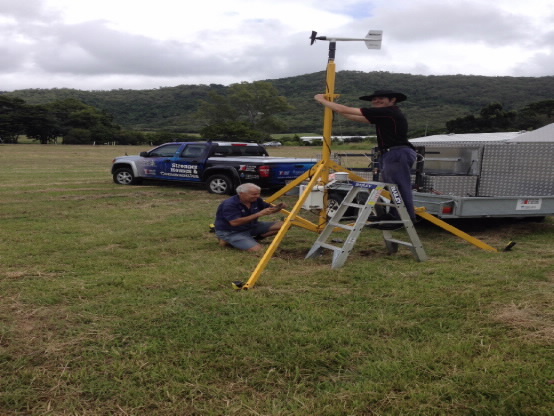 JCU’s Cyclone Testing Station (CTS) has deployed three anemometers in Cooktown and three in Port Douglas in anticipation of TC Ita making landfall in the region later today. CTS Director Dr David Henderson said they had been busy working in increasingly blustery conditions over the last 48 hours to install the devices. “We are, as of now (11am) finalising the set-up of the last one,” he said. JCU has already received some data from the three Cooktown sites. Dr Henderson said the team, including CTS technician Dennis Smith and Civic and Structural Engineering graduate Travers Searle, expected to spend tonight in Port Douglas, rather than risk travelling back to Townsville, given the unpredictable conditions. “We are just keeping an eye on the weather like everyone else,” he said. 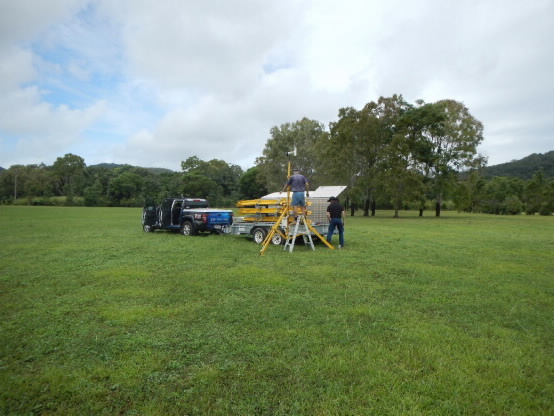 Dr Henderson thanked Cook Shire Council, Master Builders and the public for access to the sites to set up the anemometers. 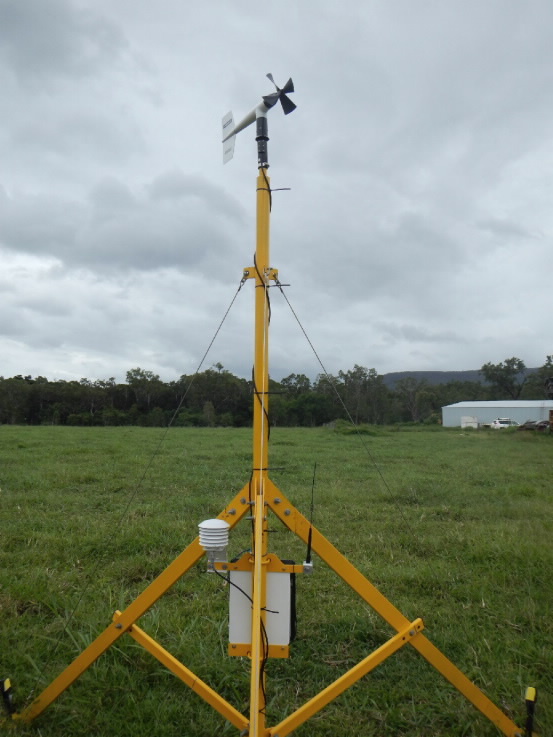 The CTS team developed this technology (known as SWIRLnet) to address one of the main recommendations from the damage investigation following Cyclone Yasi in 2011. A report prepared by CTS for the Australian Building Codes Board (https://www.jcu.edu.au/cts/publications/content/technical-reports/jcu-078421.pdf/view) identified the need for more accurate information on the wind speeds actually experienced by houses and other building stock. This vital information helps the CTS advise governments, industry and the wider community on whether Queensland’s current building regulations and building practices are appropriate. The SWIRLNet project allows the CTS to provide reliable information to government, industry and the community about the performance of buildings during cyclonic events. The team will continue to monitor the track of the cyclone so they can decide the best and safest options for their return journey. The Cyclone Testing Station team thanked all the organisations that have supported the development of the SWIRLNet project to date. 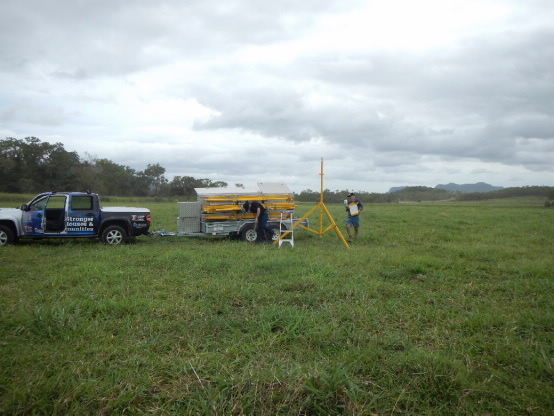 These include the Queensland Government, Risk Frontiers and Risk Management Solutions, as well as the sponsors and benefactors who support the broader programs of the CTS. Note for media: Please credit photos courtesy Cyclone Testing Station, James Cook University.